I would like for you to seer these images into your mind as a remembrance. 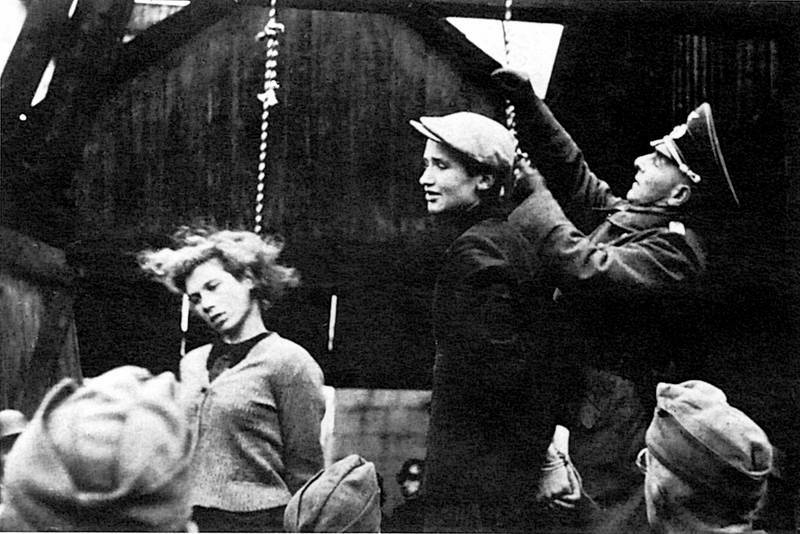 Not just a remembrance to these former Sisters of Ours who were executed by the German Fascists, but also as a reminder that where they once were, you, your mothers, your sisters, your friends, may someday also be. She was shortly thereafter executed by a single shot to the back of her head. 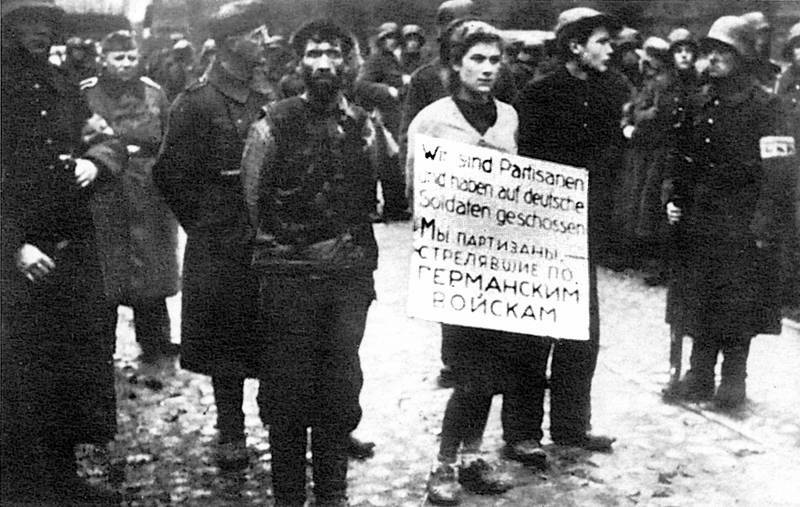 Sisters Sashenka and Oksana were executed by the Fascist German Soldiers for failing to divulge information under torture about Partisan activity in 1943. There is, as you can see, not many differences between these young Sisters of last Centuries war and those who may be close to you…but with the main difference being understood that they are now dead, your loved ones are still living. Our beliefs have for centuries taught us always to be prepared for all things, including the fighting of wars to protect our Monasteries, our villages and our people. It has likewise always been our belief that the best defense against war is to run from it, no matter how far one may have to go. But this is sadly not always possible, and war can appear in your Country, at your very doorstep, as suddenly as a summer storm. For this eventuality, and as hard as it may seem, you must always be prepared for. Not just for the survival of your own life, but for the survival of your family, your friends, your village and your Country. In all of these lay the identity of whom you are as an individual, as a society and a Nation. And in finding war upon your Country has begun, it is your responsibility to not only be prepared, but to also act. In the cruelest of wars you may find yourself having to defend against the Soldiers of your own Country who have been ordered to subjugate you, and to which also you must always be prepared to defend against. There is nothing kind, generous or honorable in war. It is an action that embodies the very worst attributes of what a human being is, and becomes for all who partake of it as close to hell on earth as it is possible for man to obtain. Your time to prepare for war is never during when it is taking place, but before it ever begins, and that is what this book is all about. For you to be effective in your survival of war you must become in mind, body and spirit a Soldier. What the soldiers you will be facing know, you must know too. And that is why this book begins by showing you how to escape and evade those military or police forces that may be seeking to find you. From both an urban and rural perspective we guide you through all known, and modern, techniques for Escape and Evasion. We show also how to accomplish this as an individual and by groups. We show you in both ancient and modern terms the mental skills you will need to survive, and provide actual accounts of those who have faced wars before and survived. There is no more important book you should have in your possession than this one, we truly believe. This belief is based upon our knowing of the events soon to come and which will see the outbreak of Total Global War, and to which those of you living in the United States will be most affected due to the invasion of your country. The enemy soldiers of you, your family, your village and your Country are even now in their final preparations. If you are not likewise preparing then you will not be able to survive the war you will soon be facing. Our goal for this book is to see that you are not only prepared, but that you also survive.